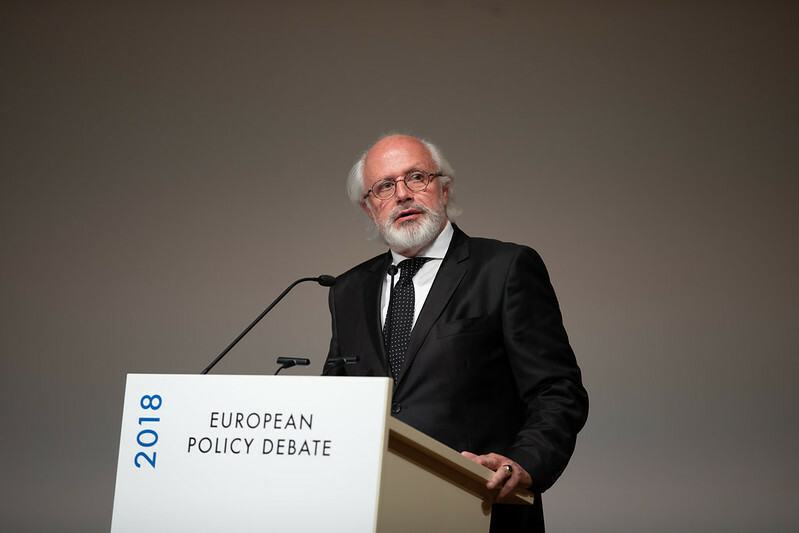 The first ever European Cultural Heritage Summit culminated in the evening of 22 June 2018 with the concluding session of the European Policy Debate (read new items about the preceding panels on “Sharing Values”, the messages from the young generation, session 2, session 3) and the European Heritage Awards Ceremony 2018. 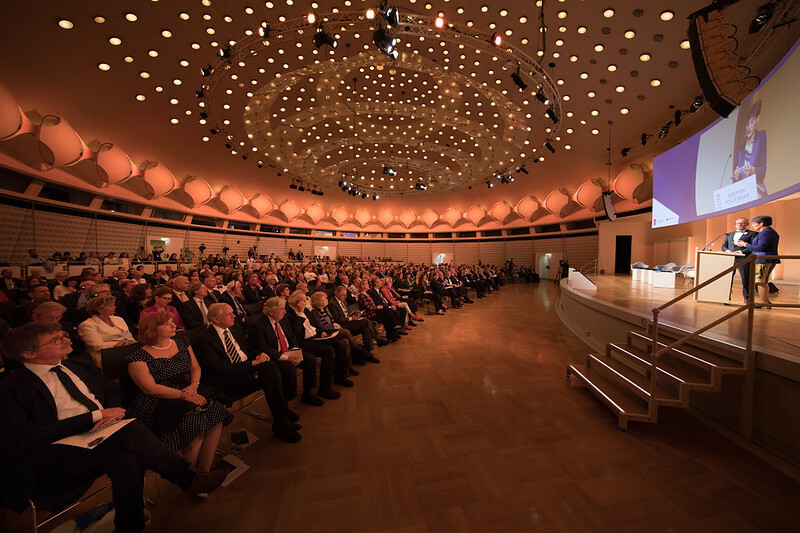 A stone’s throw from the historic heart of Berlin, guests and participants from all over Europe gathered in the Berlin Congress Center located on Alexanderplatz for the concluding discussion among top decision-makers and representatives of civil society about “Cultural Heritage for the Future of Europe”. The list of participating speakers illustrates well that cultural heritage is at the top of the European agenda: the Culture Ministers from France and Portugal – Françoise Nyssen and Luís Filipe de Castro Mendes, the Presidents of the European Economic and Social Committee and of the European Committee of the Regions, Luca Jahier and Karl-Heinz Lambertz, as well as one of this year’s European Heritage Awards laureates, Stéphane Bern, a renowned journalist and broadcaster who is Founder of Fondation Stéphane Bern pour l’Histoire et le Patrimoine – Institut de France, and Hermann Parzinger, President of the Prussian Cultural Heritage Foundation and also the newly elected Executive President of Europa Nostra. At the start of the concluding session the co-chairs Uwe Koch, Head of Office of the German Cultural Heritage Committee (DNK), and Sneška Quaedvlieg-Mihailović, Secretary General of Europa Nostra, read out the special messages which three European Heads of State addressed to the European Cultural Heritage Summit, namely the President of the French Republic Emmanuel Macron, the President of Romania Klaus Werner Iohannis and the President of the Portuguese Republic Marcelo Rebelo de Sousa. These messages were perfect testimonials of the ever-stronger political commitment to cultural heritage as a strategic resource for the future of Europe. 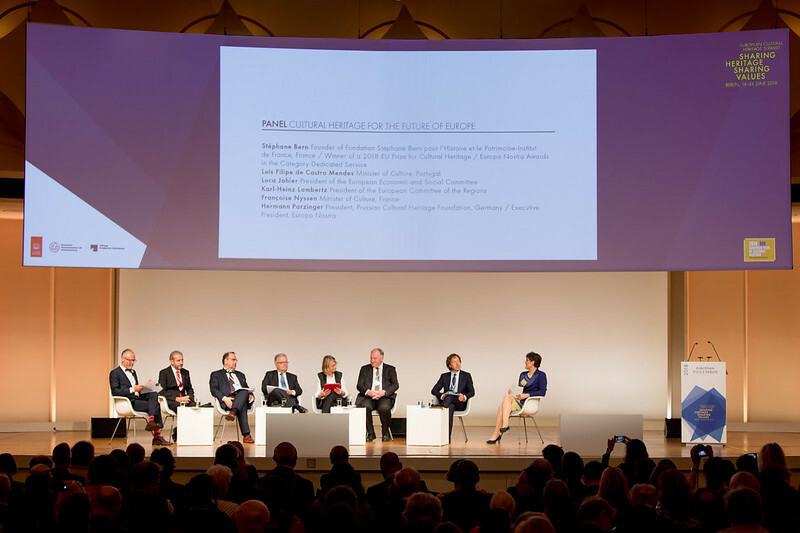 After these political and artistic introductions, the Co-Chairs presented “The Berlin Call to Action: Cultural Heritage for the Future of Europe” on behalf of the Summit co-hosts (Prussian Cultural Heritage Foundation, German Cultural Heritage Committee and Europa Nostra). “The time for action is now!” stressed Sneška Quaedvlieg-Mihailović and Uwe Koch, who encouraged all those present to sign the Berlin Call as an expression of their personal commitment and support to the on-going momentum for cultural heritage in Europe. Likewise, the French Minister of Culture, Françoise Nyssen stressed the importance of remaining committed to Europe by using culture as a vehicle. Together with several European culture ministers, Minister Nyssen had promoted the declaration “Refonder l’Europe par la culture” on the occasion of the Frankfurt Book Fair last autumn to express their conviction that the renewal of the European project must be done on the basis of culture. A similar chord was struck by Luca Jahier, who has made culture one of the four priorities of his recently commenced Presidency of the European Economic and Social Committee: “Culture does have an intrinsic value and it has an important role to play.” President Jahier went on to explain that “Europe was an idea of culture first, before it turned into an idea of governance.”. He regretted that this vision has been partly lost. Agreeing with the need to change the tone in Europe as outlined by Jorge Chaminé, Luca Jahier explained why he had coined the term “rEUnaissance” for his presidency of the European Economic and Social Committee: “I am calling for a Renaissance of the European Union; I am convinced that this is necessary and possible.” Drawing a parallel with the Renaissance, when one of the driving factors was culture, President Jahier stated: “Culture can give us the positive energy we need to create a positive vision of Europe for tomorrow.” He emphasised the crucial role of civil society in achieving such a positive vision, calling on everyone to participate more in their societies. 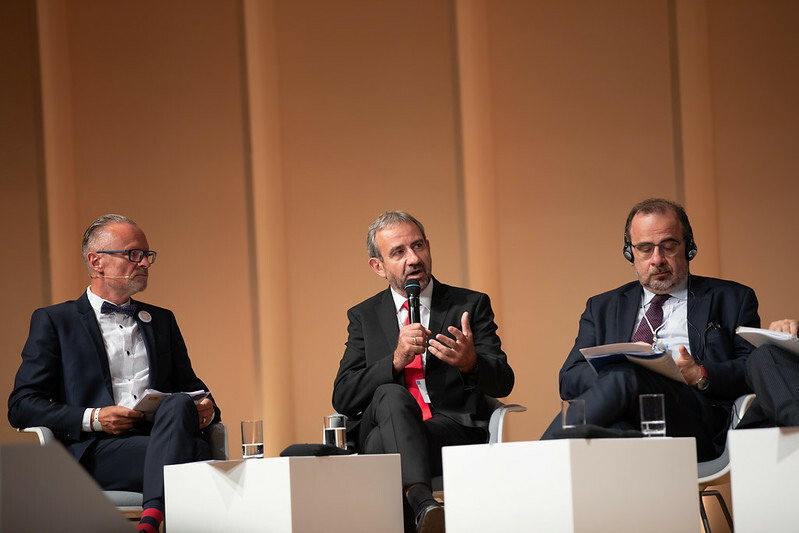 Expressing his readiness to turn words into action, Minister Luís Filipe de Castro Mendes emphasised: “We need to fill the Berlin Call to Action with life”, adding that “this has to result in a large-scale movement that recognises culture as a priority”. 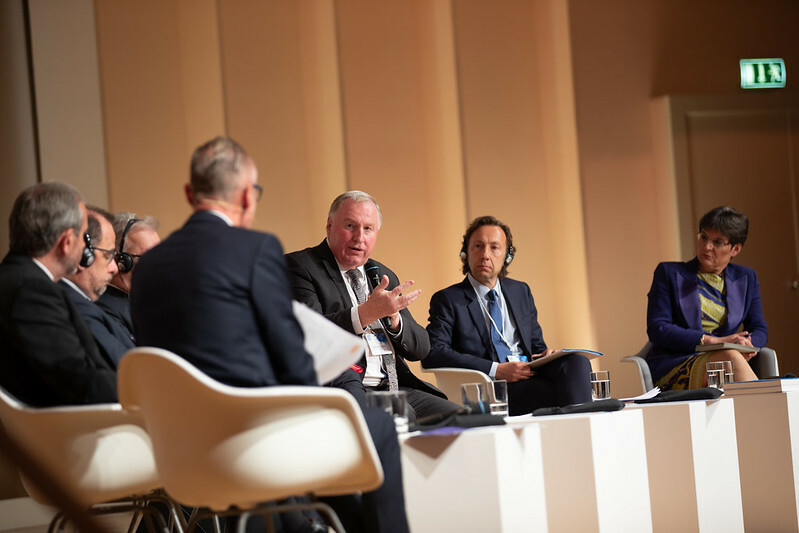 With regard to the negotiations on the EU’s future 7-year budget, the President of the European Committee of the Regions, Karl-Heinz Lambertz, also stated: “We should be more courageous and spend more money on culture”. Minister Nyssen made a strong plea for a larger budget for culture, rejecting cuts on culture “because this is the greatest treasure we have”. 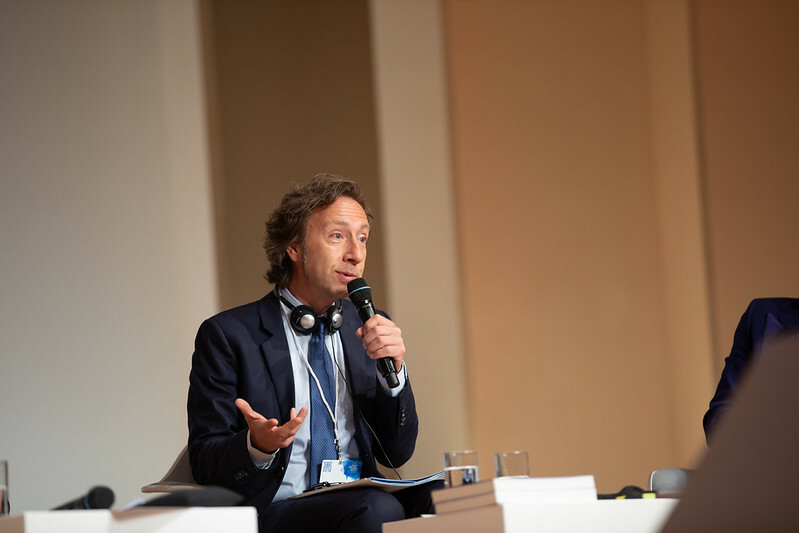 When asked about his views, Stéphane Bern, who had been awarded an EU Prize for Cultural Heritage / Europa Nostra Award for his dedicated service to cultural heritage, stressed his readiness to sign the Berlin Call: “I think this Call to Action is immensely important. We need this Call. It is really something that we need for the future of Europe.“ In this context, Stéphane Bern went on to announce – to the delight of the audience – that he was working on a new TV programme focusing on Europe: “I want a strong Europe. From September until the European elections, I want to make Europe the dream of TV viewers. I want to show Europe’s rich cultural heritage!” It would be launched in autumn in addition to his hugely popular current programme “Secrets d’Histoire” (The Secrets of History) on history and cultural heritage in France, which celebrated its 10th anniversary the day after the debate. Moreover, he shared another vision for Europe with the audience, namely that in the future the Euro banknotes would feature famous European artists like Molière, Shakespeare, Cervantes or Chopin and Verdi. Hermann Parzinger, President of the Prussian Cultural Heritage Foundation (SPK) and recently elected Executive President of Europa Nostra. I congratulate the co-hosts of the #EuropeanHeritageSummit for the excellent #BerlinCall to Action. It is an important step to ensure the legacy of this European Year of Cultural Heritage. That is why I have signed it! Moreover, speakers from other events of the European Cultural Heritage Summit endorsed the Berlin Call, such as two speakers of the Creative Session on communicating heritage: famous novellist Janne Teller – who is also Ambassador for the European Year of Cultural Heritage in Germany – and British historian Bettany Hughes – who won the Helena Vaz Da Silva European Award earlier this year. 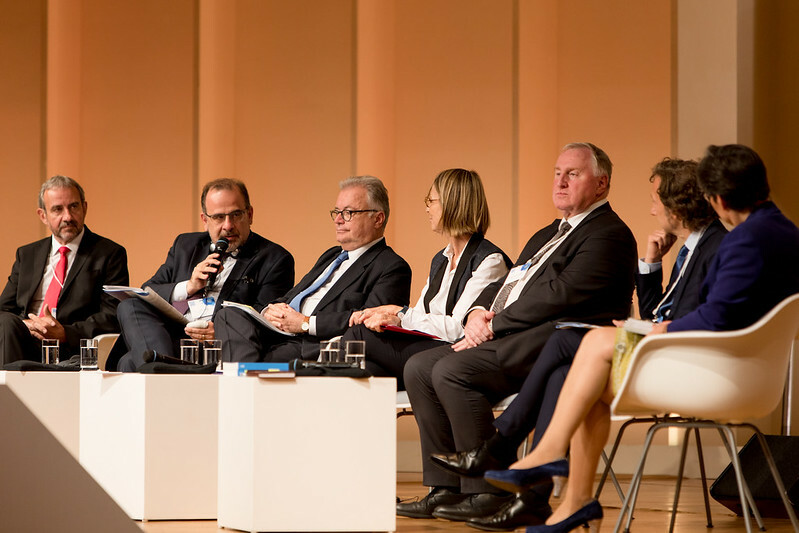 Likewise, many members of the European Heritage Alliance 3.3, national coordinators of the European Year of Cultural Heritage 2018, members of the Stakeholders’ Committee of the European Year, members of Europa Nostra, of its Board and Council also signed the Berlin Call together with many participants and engaged European citizens. 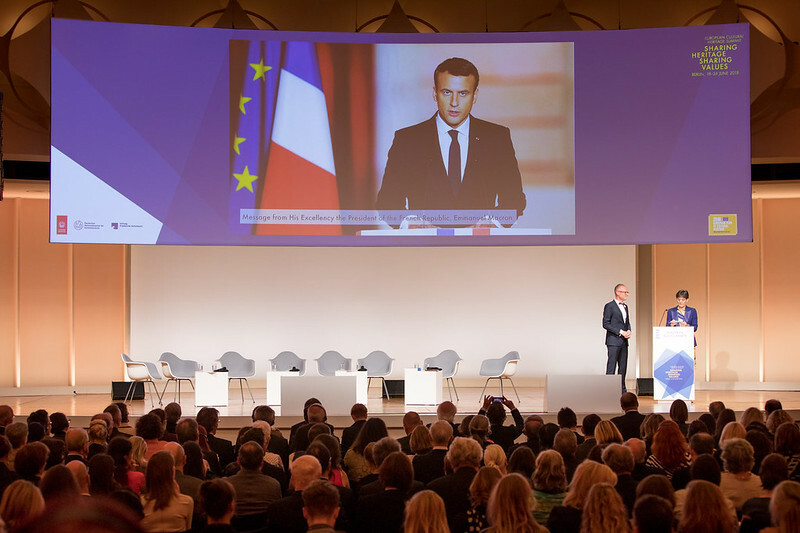 Shortly after the European Cultural Heritage Summit, the co-hosts had the opportunity to present the Berlin Call to Action at a high-level conference organised at the European Parliament in Brussels on 26 June 2018.